Lane and Peggy and their beloved dog. Yesterday morning, we lost a friend, Lane Barton, a prince of a man. How easily we extol the virtues of those who pass from this world with our well intentioned popular phrase of the past 20 years, "We're sorry for your loss," words that I've come to find redundant and monotone for a lack of the use of a more meaningful expression. How easily "they" say the person who has passed was good and kind and loving. Often, whether he or she was or was not, out of some form of reverence for those who have passed. But, Lane Barton, was good and kind and loving. When he walked into a room, all eyes averted to him, waiting to hear what morsel of wisdom, humor or hearty welcome he easily had on the tip of his tongue ready to spew to the audience on hand, eliciting a bout of laughter, or a rush of warmth flooding through the heart. He was a prince of a man. His family...his greatest treasure. 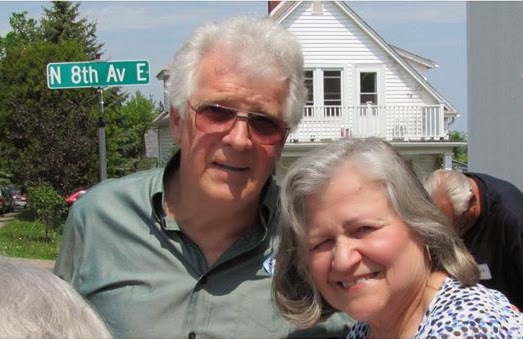 With Peggy, his wife at his side for 50 years (they recently celebrated their 50th), they personified a couple to be reckoned with, a couple to aspire to, in their love and adoration of one another; relentless, strong, never wavering. It was easy to be with them as a couple, independent and individual, yet united and unstoppable. To their two daughters, Tricia and Lisa, he was a prince of a man. Attentive, in tuned and in touch he was loved and loved back, cherished and revered by them, for them, along with his grandchildren and other family members and friends. He will be missed. He will be remembered. 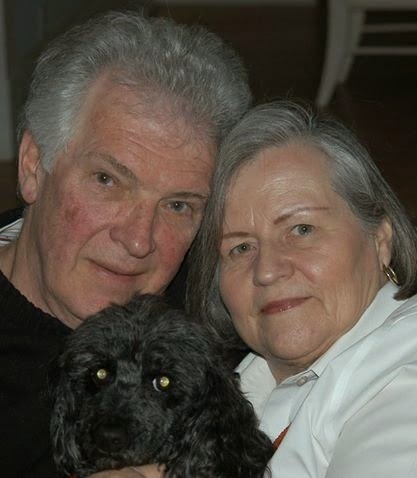 Lane and Peggy spent considerable time in Duluth, lovingly caring for Peggy's Mom. Lane was the epitome of a fine son-in-law. never wavering in his commitment to family and friends. Almost twenty three years ago, I met Lane and Peggy, shortly after I'd met Tom. They were "friends of a friend." You know the drill, with "friends of a friend," tread lightly, be inclusive of the first friend. But, selfishly, we couldn't share. We wanted them to ourselves. As our friendship blossomed, I couldn't wait for them to meet Tom and vice versa to share in this mutual connection. Tom was working "on the road" for the railroad, often gone for days, back for short stints, only to be gone again. We'd set up several dates for the four of us to get together only to be disappointed when Tom was suddenly called away shortly before our scheduled time. I'd get together with Lane and Peggy anyway, never feeling like a third wheel when Lane had this magical way of making everyone feel inclusive. After several attempts to meet Tom, they finally met at a prearranged dinner party I had hosted. Lane vigorously pumped Tom's hand saying, "You are real! I was beginning to think you were a figment of Jess's imagination!" We all laughed as we often did in times to come. And the magic continued with the four of us chatting endlessly time after time, no subject taboo, no words left unsaid, often all of us speaking simultaneously and yet, all of us somehow engaged in an animated four way conversation. As the years rolled by, we often socialized at our home, on occasions at theirs, sharing deep thoughts, dreams, hopes, fears and frustrations. Oddly, we talked little about our hobbies, our recent trips or our favorite movies. Instead, immediately in each other's presence we delved into the "meat" of our lives, the funny stories, the sorrows and the joys. No matter the topic, Lane always had a twinkle in his eye. He loved not only the people in his life but savoring and cooking good food, having good friends, playing with his old cars, his home, photography and so much more. Lane loved his dogs. There's something to be said about us animal lovers. We seem to find one another, relishing in the ability to seek the joy one receives from a beloved pet; unconditional, unfettered with needs other than love and nourishment. And, that was Lane, love and nourishment. His love fed our hearts as he freely nourished our minds and our souls, always to remain and never to be forgotten. And, now we must say goodbye. He was a prince of a man. Photos from one year ago today, May 4, 2013 won't be shown today. Please click on this link to see the story and photos from our day in Marseilles, France.